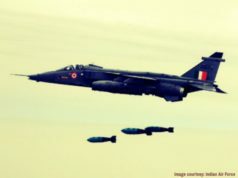 The Indian Air Force (IAF) reacted to the Magazine report on Friday after the report made headlines in India. "IAF: Indian Forces have confirmed sighting ejections at 2 different places on that day(Feb 27). The 2 sightings were at places separated by at least 8-10 km. One was an IAF MIG 21 Bison & other a PAF aircraft. Electronic signatures gathered by us indicate PAF aircraft was a F-16.," read IAF statement, reported ANI. 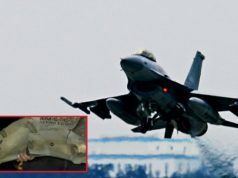 A United States (US) count of F-16 fighter jets with Pakistan has found that none of the jets were missing, reported an American Magazine, Foreign Policy. The report claims that two senior US defense officials with direct knowledge of the situation have told Foreign Policy that the officials of the superpower country inspected the Pakistan held F-16 fighter planes and found the number tallying with the number accounted for. “US personnel recently counted Pakistan’s F-16s and found none missing,” reported the magazine. This directly contradicts with India’s claim that Wing Commander Abhinandan Varthaman’s Mig-21 Bison managed to shoot down a Pakistani F-16 in an aerial dogfight before his own plane was downed by a Pakistani missile. Meanwhile, Pakistan’s military spokesperson, Major General Asif Ghafoor, had denied the claim made by his Indian counter part. He mentioned that none of the F-16s had been shot down in the air combat as none of the US made F-16s were used in the operation that day. The Pakistani counter part’s claim of no F-16s usage during the February 26 air combat was refuted by India. India presented the fragments of an AIM-120 Advanced Medium-Range Air to Air Missile (AMRAAM) that had been recovered on the Indian side of the Line of Control (LoC). Notably, the AMRAAM can only be used by F-16s. However, India was unable to present any physical evidence to prove it’s claim of having downed an F-16 fighter jet that day. 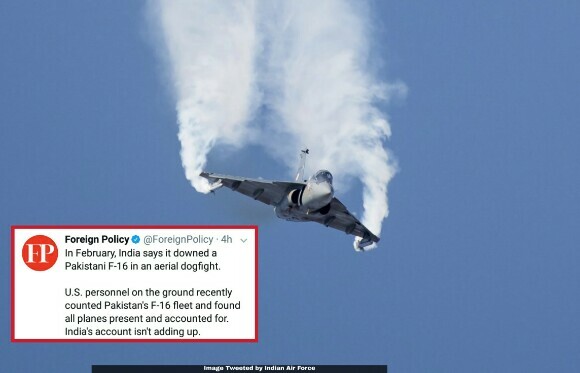 Meanwhile, Lara Seligman, the writer of the report, scribed, “It is possible that in the heat of combat, Varthaman, flying a vintage MiG-21 Bison, got a lock on the Pakistani F-16, fired, and genuinely believed he scored a hit.” She has written this with reference to Varthaman’s statement in the debriefing process upon his return to India, that, he saw a Pakistan Air Force (PAF) F-16 going down on the other side of the border. In February, India says it downed a Pakistani F-16 in an aerial dogfight. The report also mentions that, the Ministry of External Affairs said in March, this year, that there were eyewitness accounts and electronic evidence of this as well. But according to the counting by the US authorities on-the-ground in Pakistan, sheds doubt on India’s version of events, suggesting that Indian authorities may have misled the international community about what happened that day, added the report. Vipin Narang, an associate professor of political science at Massachusetts Institute of Technology (MIT) said that the way the events have unleashed may affect India’s efforts to deter Pakistan in the future. “As details come out, it looks worse and worse for the Indians. It looks increasingly like India failed to impose significant costs on Pakistan, but lost a plane and a helicopter of it’s own in the process,” mentioned the Foreign Policy report. 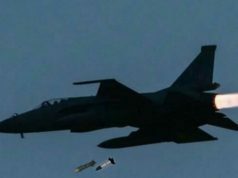 According to the Foreign Policy report, one of the senior US defence officials with direct knowledge of the count said that Pakistan invited the United States to physically count it’s F-16 planes after the incident of February 27, as a part of an end-user agreement signed when the foreign military sale was finalized. Generally, in such agreements, the US requires the receiving country to allow US officials to inspect the equipment regularly to ensure it is accounted for and is protected. The US officials have completed the count now, “all aircraft were present and accounted for,” the officials said. The report also mentions the reason behind the delay in the inspection. It says, “some of the aircrafts were not immediately available for inspection due to the conflict, so it took U.S. personnel several weeks to account for all of the jets,” added the report. 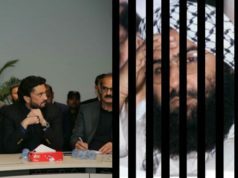 While concluding the article, Lara Seligman mentions, “The U.S. State Department and the Indian and Pakistani embassies declined to comment,” which means there is no official confirmation about the claims made by the US authorities. 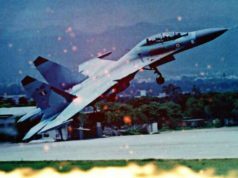 The Indian Air Force (IAF) reacted to the Magazine report on Friday after the report made headlines in India. “IAF: Indian Forces have confirmed sighting ejections at 2 different places on that day(Feb 27). The 2 sightings were at places separated by at least 8-10 km. One was an IAF MIG 21 Bison & other a PAF aircraft. Electronic signatures gathered by us indicate PAF aircraft was a F-16.,” read IAF statement, reported ANI. When asked on the US media reports of no F-16s shot down in the February 27 air combat, IAF claimed to have intercepted PAF radio communication that day confirming that Pakistan F-16 fighter jet didn’t return to the air base, reported ANI. Tensions between India and Pakistan had escalated when the suicide bomber of Jaish-e-Mohammed (JeM) killed about 44 Central Reserved Police Force (CRPF) personnel on February 14 this year. 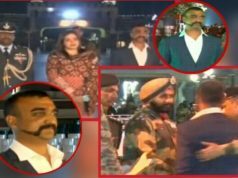 Later, India launched a counter attack on JeM training camps in Balakot, which was followed by an aerial combat where PAF shot down a MiG-21 and captured the pilot, Abhinandan Varthaman, who was released and handed back to India on March 1.